View top bricks in each color group. More options are available in our brickyard. Stone and materials for home exteriors, patios, retaining walls and driveways are available and in-stock. Stop by our 5,000 square foot showroom to see displays and working models of all types of fireplaces and stoves. One of East Texas' largest collections of furniture, fixtures and decorations for deck, patio and outdoor living areas. Adding ornamental details to a home's exterior will give it a distinctive style. 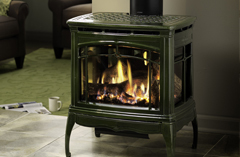 A gas stove is beautiful addition to any room and an energy-efficient means of heating it, too. 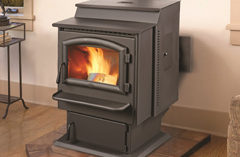 Today's gas stoves are available in a variety of styles and East Texas Brick offers models with convenient features such as wall thermostats and remote controls. Use the "ADD TO LIST" button to catalog items of interest into a single, printable PDF during this session on our site. Click the icon to review the contents of your list.